So when I saw this new fabric coming from Michael Miller called Dilly Dahlia I knew this had to be my first project as a Brand Ambassador and I absolutely had to make something with it. And I knew exactly what quilt to make.. my Dandelion Wishes. I love all of the quilts I have designed but this one is my go to when I want something fast and not a gazillion pieces. 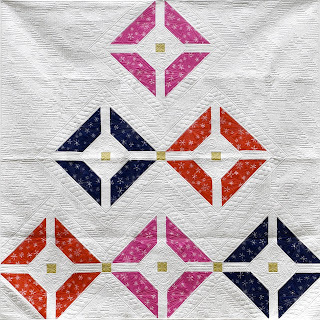 It is the perfect quilt to showcase those beautiful fabrics you just can't bring yourself to cut up. This quilt is all mine, I don't make many that I keep for myself but this one.. yep mine! Dilly Dahlia coming soon from Michael Miller Fabrics, check you local stores for this line. I started out the year thinking this year is going to be all about Sweet Tea Pattern Co. In January on my birthday, we found out that we are going to be first time grandparents in September... best birthday present ever! It’s a girl by the way! In the middle of all of this, I have such exciting things going on. 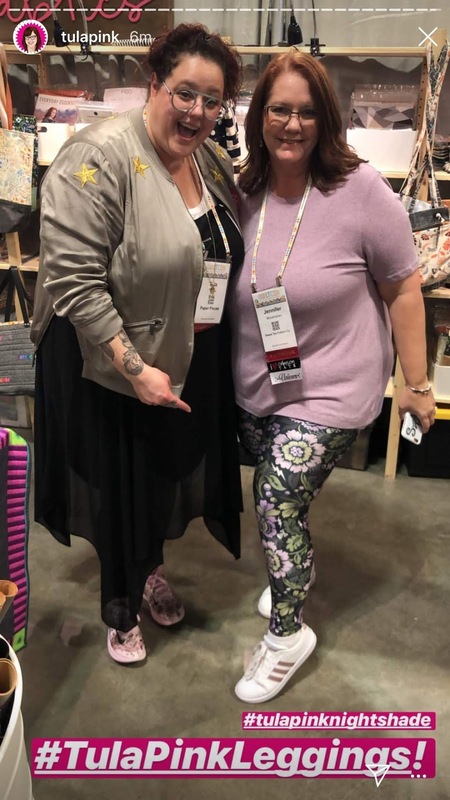 I had a blast at Quiltcon in Nashville even with the endless rain we had. 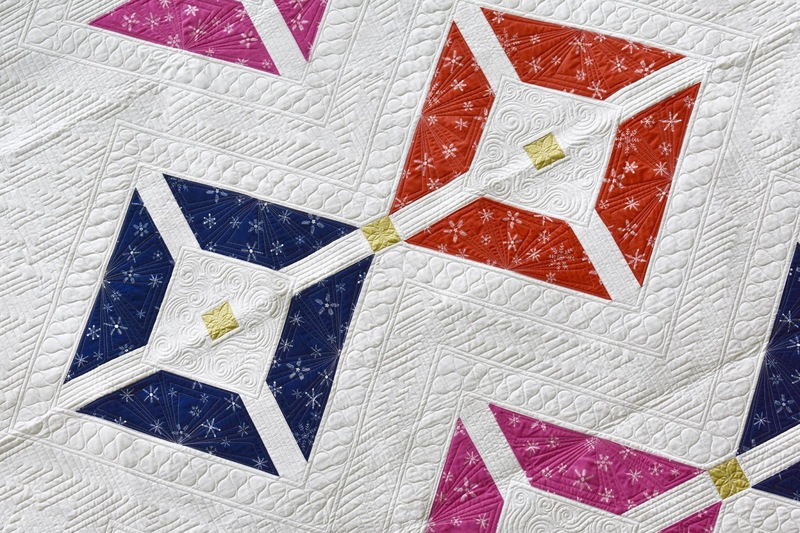 At Quiltcon I released my newest pattern Lucky Jacks. My new favorite of course. Quiltcon is great though you get a chance to see and meet people you have conversations with on Facebook and IG. I came home from QuiltCon for a short 36hours, grabbed the husband, restocked and took off for Hampton VA for the Quiltfest show. We had a great time and my husband loves talking to all the ladies. He cracks me up. With all this going on probably the most exciting news (other than the Grandbaby) is that I was selected as a Michael Miller Brand Ambassador for 2019!! I am looking forward to working with Michael Miller and all their fabrics. It’s going to be tons of fun. I have already started working on my first project for them. I will be posting all of my projects here. I am also getting ready to head out on my first Quilt Cruise with Tomorrows Treasures, Crofton MD. Not only is it my first time teaching it’s also my first time on a cruise, so this should be fun. Lots and of exciting things happening both professionally and family wise. 2019 has already started out as a great year and is only getting better! I get asked all the time where do I get ideas for patterns. I wish that there was some big fancy answer but there isn't. Sometimes ideas just come to me, usually at like 3am. But seriously I am always looking for inspirations though where ever I am at. I recently took a vacation to Boston and there were inspirations everywhere. I think its from years of art classes that I just automatically look for things. One of my patterns was actually inspired but the insert of a picture frame I bought. So you see there is not some fancy answer I just look for things that make me happy. Where does all my time go?? Where does all my time go??? Does anyone else never have enough time in the day? I honestly think when I had a full time job out of the house, 3 kids in sports and a husband deployed I got more done, how is that even possible? I mean I am self employed, all the kids are grown and mostly out of the house - the boy is 19 and only needs me for food :-) - and the husband has retired and has a nice non traveling office job so I should have tons of free time right? Well this obviously called for a trip to my second favorite place after the quilt shop of course - Office Depot. One hour later with a bag full of new calendars, pens, markers and other misc supplies I am ready to get my time under control. I have spent the last hour making lists. Lists of current projects, projects I want to do, projects I have to do, up coming trips, and the lists just keep going. That then sent me to browsing the internet and looking at patterns from some other designers and adding more projects to my wish list. Right before I left for Quilt Market in Portland I was working on a couple of projects and needed a piece of fabric so I went to pick up the bolt when then this happened! Now everyone knows when you pick up a bolt, yes a it was on a standard cardboard bolt, its not suppose to do that. Welcome to the beginning of my nightmare. Okay maybe not a real nightmare but it was a huge pain in my buttocks!! We discovered behind that lovely handmade cabinet my dad did for me there was a nice leak, actually several, in the foundation wall of our 1 yr old house. At first we were afraid it was in the floor, thank you for small blessings because if it had been we would have had to jack hammer up about 4 feet of flooring. So I will settle for just the wall. That then started a 3 month adventure of moving everything out, moving my longarm as much as possible, people fixing the foundation walls, then drywall people, then painters, then finally carpet people. Now I figured after all the frustration I might as well paint the walls as I did not take the time to do that when we moved in a year ago. I settled on a very light blueish grey, takes away that contractor drab ecru that it was painted. Put new lights in, bought some new shelves - the cabinet my dad made was not ruined thankfully I just moved it to a different spot. As of August 5th everything is back in its proper place and I finally feel like I am functional again. Over the last year or so I have submitted different quilts to several different magazines with no takers. Then earlier this year I finally had one accepted and was so excited. I was lucky enough to get some beautiful fabric from Cotton + Steel to use, got the top done. Then sent it off to be quilted by the amazingly talented Teresa Silva from Quilting is my Bliss because it just needed her special touch. Just as I got the quilt back and I was finishing the binding I got a notice that the magazine was ending publication effective immediately. SIGH*** Not gonna lie, I spent a couple of weeks all bummed out and maybe pouted a time or two. HAHA I was then left with a decision of what to do with the quilt - do I submit it to another magazine or release it myself? After a lot of back and forth I decided that I loved this quilt so much that I wanted to show it right now. So I am offering for a limited time the pattern as a PDF download only and its on sale to boot!! There is a however funny story to how the design came about because this was NOT the original idea ... I was in the process of taking photos and scans of the original drawings and for whatever reason when I did the scan it inverted the pattern 90 degrees. And as I looked at it, I went humm I think I see my new Christmas tree quilt, thus A Modern Christmas was born. It was a sign as Christmas is my absolute favorite holiday and its never too early to have a Christmas quilt laying around right?? So for a limited time A Modern Christmas (currently only available as a PDF) is just $5!! We are gonna give this blogging thing a chance. So I figure my first post should be about me. I am a loving wife to my husband of 26 years, a sometimes crazed mom to three pretty amazing children (and one son in law as of March) and I am pattern designer. I spent the majority of my life moving around the country but we eventually settled in Southern Indiana and it was there in High school I met my future husband. 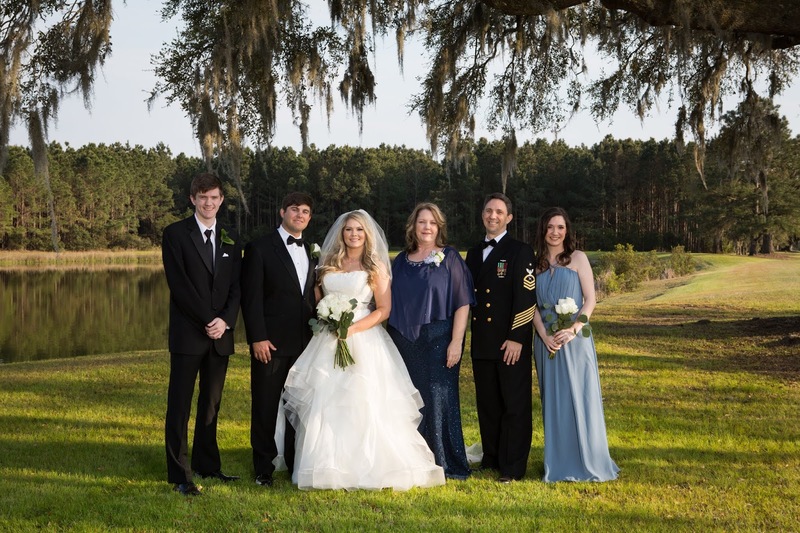 A couple of years after graduating we got married and embarked on a 22 year journey traveling the world with my husband joining the Navy. From Hawaii to Japan to Canada and several spots in-between. Crafting/sewing and sew much more is pretty big in my family. I was taught different types of crafts from my mother, father, grandmother, aunts and cousins starting at an early age. I credit all their influences and all the moving around the world living in different cultures for expanding my creativity and influencing my modern, artistic, and bold style of design. 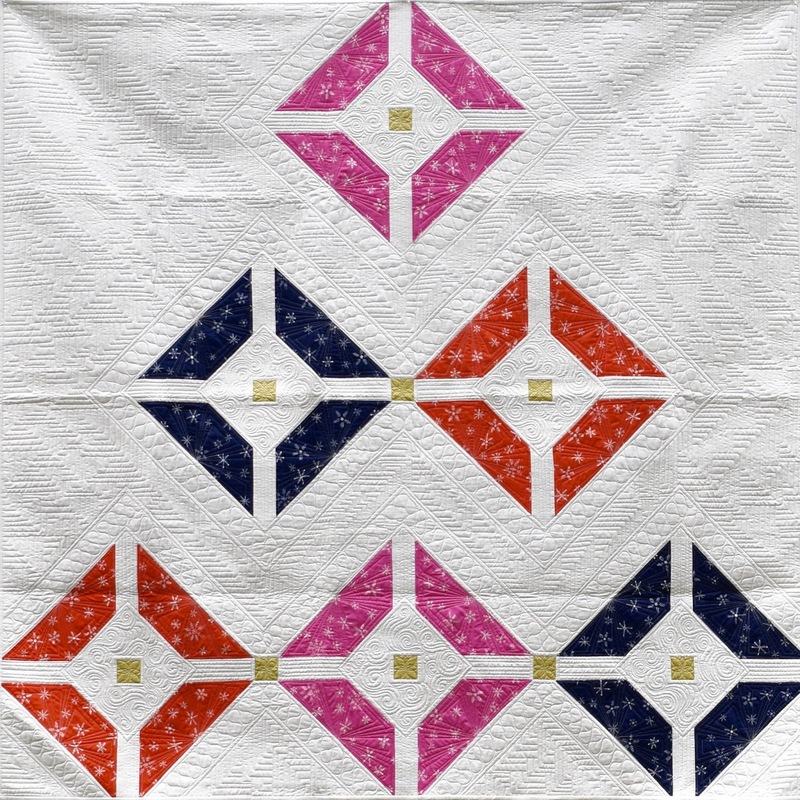 Once my husband retired from the Navy and my children began spreading their own wings, I decided to share my passion for quilting and unique design with others. 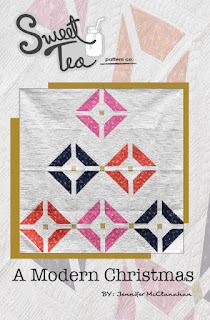 Thus - Sweet Tea Pattern Co. was born! 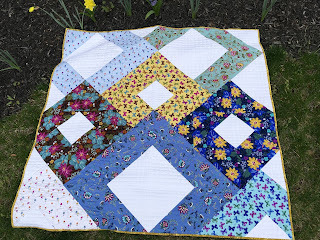 I am so very blessed and fortunate that with support from my husband and my children I get to spend my days in the studio doing what I love - creating, designing, sewing and quilting.